Once a month for more than a year these young activists have gathered people with different backgrounds to put feminism on the Zambian agenda. A group of young feminists from Bangladesh contributes to stopping child marriages through dialogue and information. Through creative activism a group of young activists contributed to concrete improvements for low-income families in el salvador.  Meet some of the amazing participants and partners we work with to ensure youth-led change around the world. This series of capacity development workshops has trained LGBT activists in Uganda, Kenya and Nigeria in critical digital and campaigning skills. But it has also created vibrant new cross-national networks and empowered our partners to work more effectively together. After each training session at the Global Platform you feel like you shouldnít keep it to yourself. You feel like going out there to educate others on what you learned. I have been a victim ñ now I have the power to stand up for people. Following the GP trainings, VSO is seeing evidence of impact, including young people raising awareness of human rights on radio in Nepal, youth-led community sanitation activities in Bangladesh and replication of different training elements. Working with the Global Platform has brought a new cultural and artistic approach to our work with advocacy and mobilising - and the best is that it is coming from the youth. At the training we both talked about the problems and the solution. I often talk about the problems in Jordan with family and friends but so far, Iíve never felt like I was capable of doing anything about it.